Looking for a great gift for a youngster to help them learn about different animals? This class will give you great ideas and is a lot of fun. 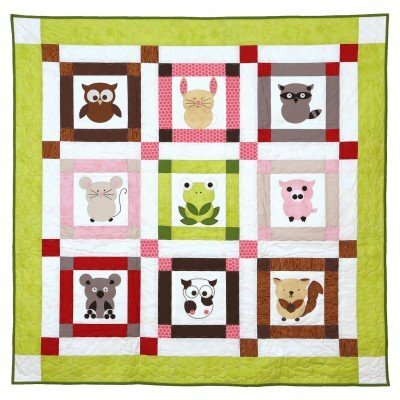 You may even come up with new animals of your own using the AccuQuilt Go! Fabric cutter. What is a GO! ? And do you have to have one? The AccuQuilt Go! Fabric cutter is a faster and easier alternative to scissors or rotary cutting tools, making cutting a breeze. You'll use our GO! Cutter in class, unless you have your own. Use the OWL die to make nine different animals. In this 3-part class, you will also learn piecing, quilting and binding.